Tattooed stars and spots decorate the head of Sean "Halo" Jankowski, 27, of Brooklyn, MD as he poses for a portrait while taking part in the 2011 DC Tattoo Arts Expo at the Doubletree Hotel Washington DC- Crystal City in Arlington, VA on January 14, 2011. 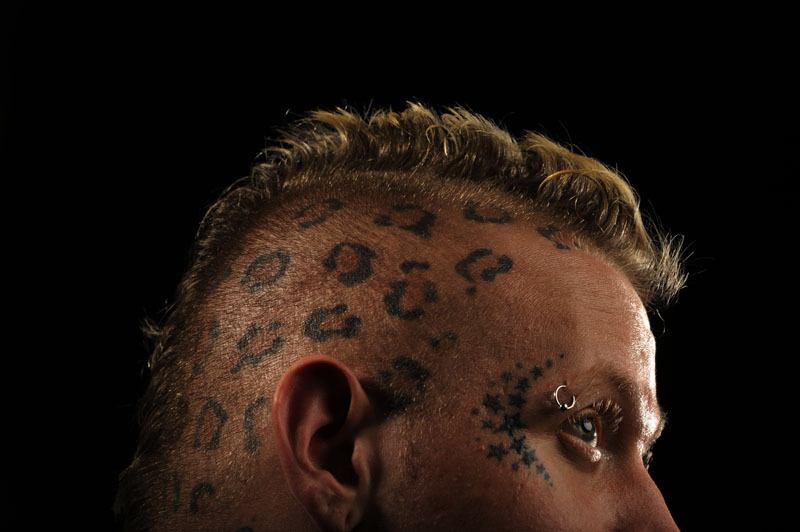 Jankowski sees his tattoos as accessories on his body. The event concludes Sunday and includes over 100 tattoo artists.